This watercolor art print featuring a painted border with a big monogram in the center is the perfect way to commemorate your wedding. Your name and date or other personalization can be printed beneath the monogram. Here are the fonts that have been used in the art print above. Like this wedding gift? You can personalize it with your own wording and details at invitationconsultants. Alternate Gothic is a sturdy and condensed sans serif typeface designed by American designer Morris Fuller Benton in 1903. 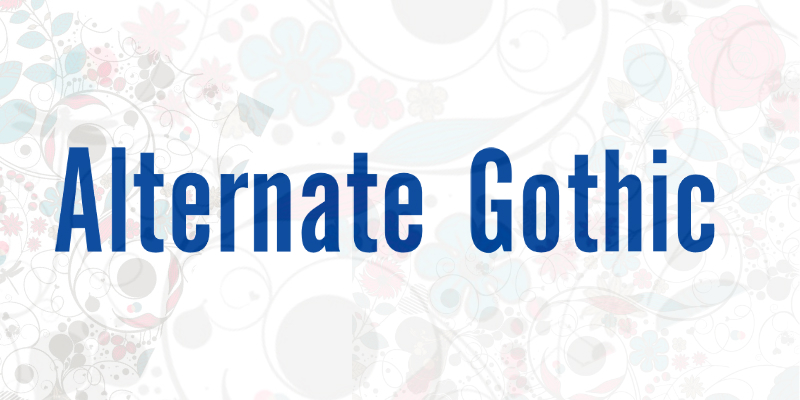 All three weights of Alternate Gothic are bold and narrow. In fact, this face is essentially a condensed version of Benton’s other well-known sans serif types, Franklin Gothic and News Gothic. It is recommended for wedding headlines and captions when strong typographic statements must fit into tight spaces. You can buy and download Alternate Gothic at Myfonts.